We all know that organic produce is better for your health, but they're not so great for your wallet. So it helps to know which you absolutely must buy organic and which you can get away with buying non-organic. To help you cleverly maneuver the produce aisle, the Environmental Working Group has analyzed pesticide residue testing data from both the U.S. Department of Agriculture and the Food and Drug Administration (FDA) and come up with rankings for 48 of the most popular fresh produce items. They even ranked them! Don't you love these people? Below are the top 16 fruits and veggies with the highest amount of toxic insecticides that are toxic to the nervous system and have been largely removed from agricultural practices for the past decade. Sadly, though, they are not yet banned and still persist in the growing of some food crops. Pretty much all of these pesticide-d produce are great for juicing, so you'll definitely want to buy organic when shopping for the below fruits and veggies. 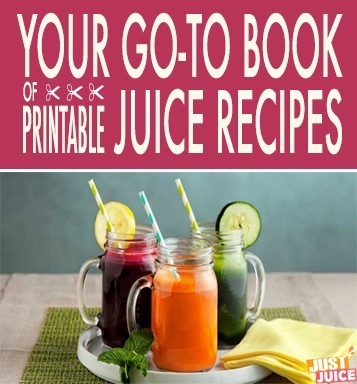 And if you absolutely cannot buy them organic - we've included a little how-to guide at the end so you can make sure you're juicing pesticide-free produce! Apples are one fruit I will always buy organic. First of all - they are a must-have in juicing since just a sliver of apple goes a long way in sweetening up the toughest of green juices - and secondly, apple peels are chock full of nutrition that you don't want to miss out on! Apple peels are super rich in flavonoids, antioxidants (vitamins A & C! ), phenolic acids and around 2/3 of an apple's total fiber content comes from its peels. The peels are also great sources of important minerals like calcium, potassium, phosphorus, folate, and iron so get these organic! If, for whatever reason, you can't get organic apples, you'll definitely want to peel them before you juice. 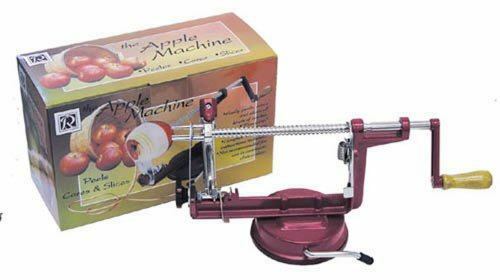 And apple-peeling is as tedious as kitchen chores get so you might want to spring for this handy little crank - it'll peel, core, and even slice your apples in half the time. 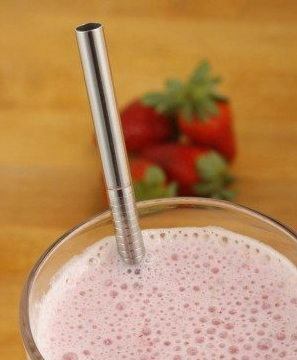 Strawberries are lovely to juice - stems and all - and they have such a great nutritional profile, that you really shouldn't skimp out on them, even though they made it to #2 in this high-contamination list. Did you know that strawberries are ranked 4th in ORAC? Oh, what the h*ll is ORAC, you ask? It stands for Oxygen Radical Absorbance Capacity and it measures the antioxidant activity in foods. It's recommended that you eat at least 3,500 ORAC units a day and you can get that full amount with just one and a half cups of strawberries! But since these yummy fruits don't have protective peels you can peel off - it's highly, highly recommended that you buy these organic. I call grapes 'sugar bombs' for their ability to instantly sweeten both juices and smoothies. Just a few grapes go a looooong way. And they're so, so good for you. The peels of red and purple grapes contain resveratrol - the darling of the anti-aging industry - and whether you're concerned about aging or not, you'll want to take advantage of these antioxidants that go to bat for you to protect your body against free radical damage. 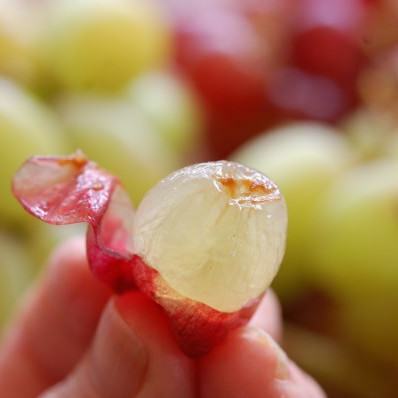 Buy organic grapes so you can juice them with the antioxidant-laden peels on! 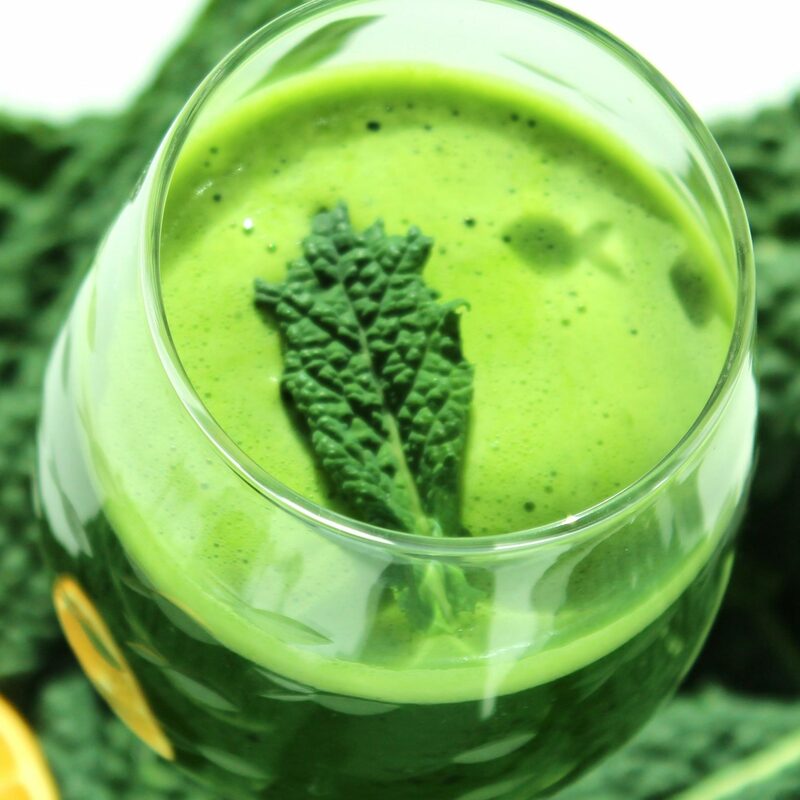 Celery is a juicing must-have, since it serves as a great base for stronger vegetable juice recipes. Since celery can't be peeled and you can't really vigorously scrub it without damaging the veggie, it's really recommended you buy these organic. Peaches are a little tricky to juice and they can be peeled, so I don't think it's absolutely imperative to purchase these organic, but if you want to juice hard peaches - skins and all - be sure to get them organic! Spinach, like all leafy greens, has no protective peel and cannot be vigorously scrubber. There's also little nooks and crannies on which pesticide residue can remain even after you clean them. Be sure to get these organic. I love juicing bell peppers. In fact, I love bell peppers - I just never ate them 'cause I hate cutting them and taking out all those tiny little seeds. 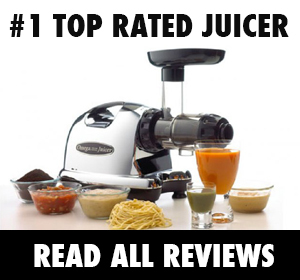 Now I just toss everything into my juicer and it totally makes life so much easier. But the downside is that these bell peppers, well, bell peppers are impossible to "peel" as they don't really have a protective cover of any sort and whatever pesticides they have on them - well, you're going to be ingesting them. Buy these organic! Nectarines, like peaches, are pretty darn difficult to juice. But they do go wonderfully in smoothies! If you plan on blending them with the peels on, make sure to get the organic ones! Cucumbers are so near and dear to my heart. They just make every juice taste better, thanks to being 95% water. 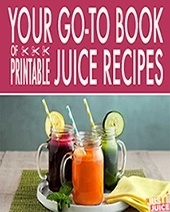 Plus, they're a great source of skin-beautifying minerals like magnesium, potassium, and silicon - making cukes a must-juice veggie for all those interested in juicing for beauty. 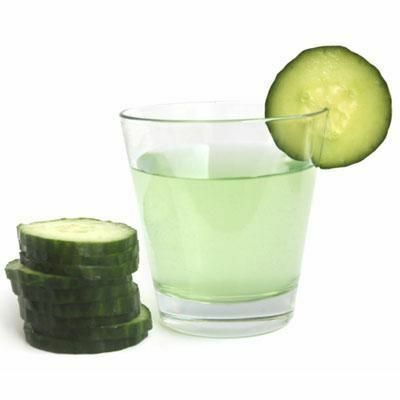 And where are these skin-beautifying minerals found in the cucumber? Mostly in its skin. Be sure to buy these organic so you can juice them with the peels on! Potato peels are really nutritious - brimming with potassium, B vitamins, vitamin C, iron, calcium, and phytochemicals. As such, potatoes are best consumed with their peels ON. Another lovely produce that has no protective cover. 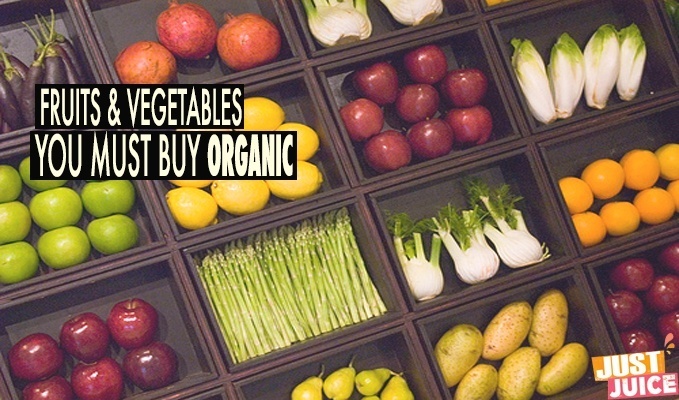 If you're eating or juicing these, you should buy them organic. Feeling adventurous and want to juice these? Hot peppers also lack a protective peel so buy these organic to avoid ingesting pesticide residue. Blueberries are pretty much the poster child for antioxidants and nearly impossible to vigorously wash. Get these organic! Lettuce is an awesome, awesome veggies to juice - but its leaves are pretty difficult to thoroughly wash. To avoid consuming toxic pesticides that can linger in the nooks and crannies of these leafy greens, be sure to opt for organic lettuce. God, these are yummy. And so easy to juice. Unfortunately, they're pretty high in pesticides. Opt for organic when buying snap peas! Okay, this one really hit me hard when I found these on the list. Kale?! Collard greens?! These are like juicing cornerstones! Plus, organic kale is pretty darn price-y, at least in my town. Probably in yours, too. Still, these are veggies that you must buy organic since they have no protective cover to shield them from toxins and pesticides. Click here to see EWG's full list of fruits and vegetables with pesticides. Organic produce is the healthiest choice, but what about when it's too expensive or too hard to find? Well, we're just going to have to do the best job of washing these non-organic fruits and veggies of pesticides and other toxins. Before we start - you should know that washing produce reduces pesticide levels but does not completely get rid of them. That's 'cause some fruits and veggies have a wax coating sealing in pesticide residues while other produce have soft or waxy skins that help chemicals stick to their surface. And of course - there's the worst situation: when systemic pesticides are used (these are chemicals that are designed to be absorbed into the plants to kill the bugs that eat them), the pesticides are in the fruits and veggies themselves so washing has little effect. But it's not hopeless - for the pesticides on the surfaces of your fruits and veggies, you can definitely get rid of a substantial amount with some hard-core (but simple) washing and scrubbing. 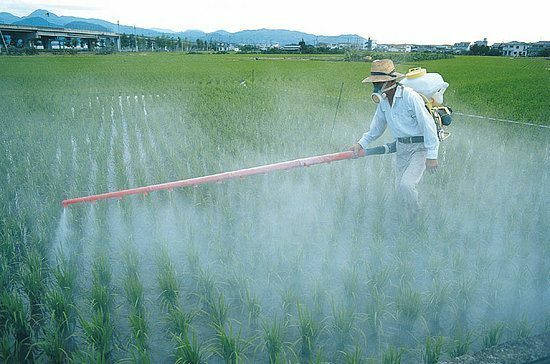 So let's get rid of these pesky pesticides, shall we? First peels off the outer layers and discard them. Give the rest a little bath. In vinegar. Fill up a basin with cold water and pour a half cup of vinegar in it. 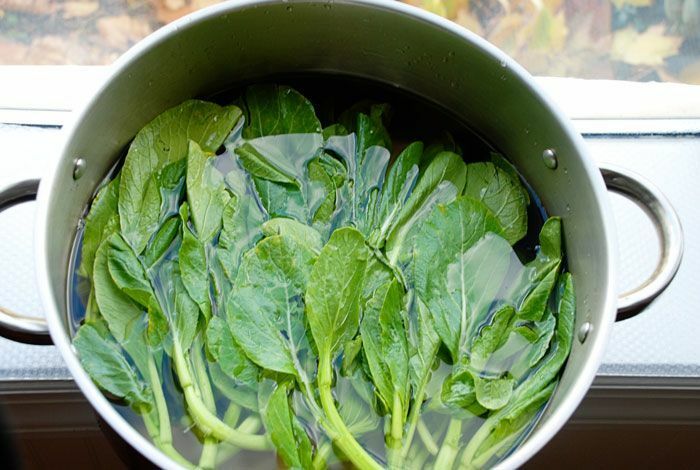 Soak your leafy greens in the mixture for 5 to 10 minutes, swirling them around to loosen dirt and insects caught in the leaves. Use this mixture of vinegar and hydrogen peroxide and vegetable scrubber to give them a thorough cleaning. OXO’s flexible veggie scrubber is great for getting into even the tiniest nooks. For broccoli, cauliflower, Brussels sprouts – it’s more difficult to get germs and bacteria that might be stuck in the tight florets. It’s best to blanch these vegetables by sticking them in hot water for about 10 seconds – not long enough to cook, just long enough to disinfect – before subjecting them to the same vinegar soak and rinse under cold water. Delicate, soft fruits & veggies are best washed right before eating, juicing, or blending. This type of produce is a little tricky to wash since running them under water could burst or ruin them. In my opinion, the best way to wash soft fruits thoroughly without damaging them is to use a professional-grade fruit and veggie washer. These are quite affordable and a good investment, especially if you plan to juice a lot of produce. 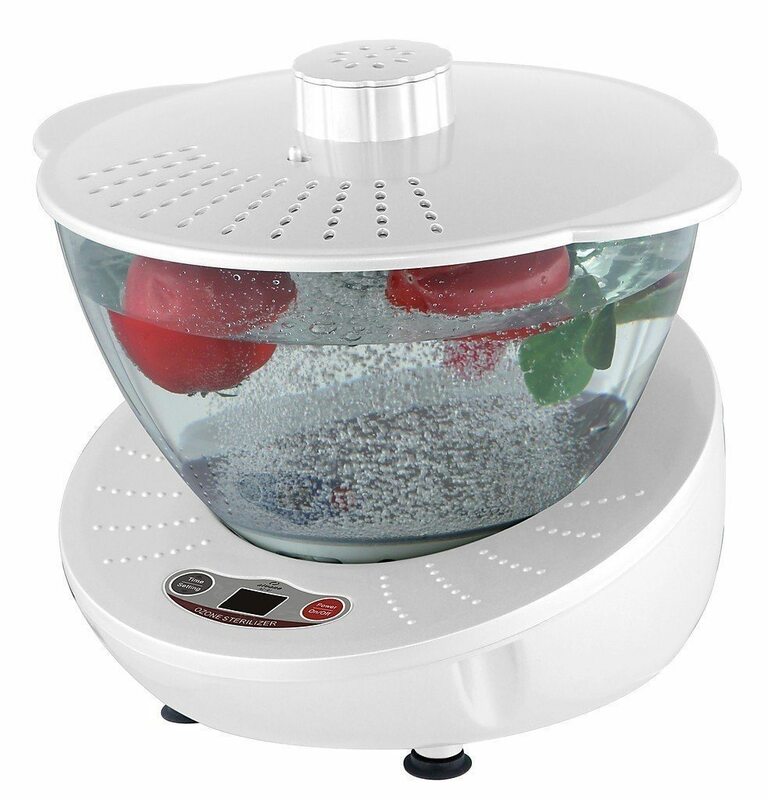 Otherwise, soft fruits like berries are best washed by placing them in a colander and then soaking them in fresh water to remove some of the dirt and pesticides. Then, dump the water and then repeat 2 – 3 times with fresh water. re your above list of Fruits and Vegetables You Must Buy Organic, so if you can’t buy them organic do you recommend not buying them at all? just simply do without rather than suffer all the pesticides? No, of course not. If you can’t buy them organic, then peel them and take the time to thoroughly clean all the produce that can’t be peeled (i.e. grapes). In addition to buying organic, you can also grow your own and control everything about how it is produced. Kale, for example, is very easy to grow and you don’t need a lot of space to do it, so it is the kind of thing you could even grow in a small urban garden. Kale is incredibly healthy and pretty versatile as well. Just a few of the health benefits are outlined at https://factualfacts.com/kale-health-benefits/ and I am sure there are even more.